The 1960’s saw changes in Vermont that impacted the Department. Vermont changed as new industries, such as IBM and GE, brought new residents to the State. Vermont was no longer a quiet place in the backwater of the country. Socio-economic changes took place with long-term effects on the capacities of law enforcement. The four season recreation industry created economic growth, and resulted in increased out-of-state visitors. Labor Day in the 1940’s and 50’s meant the end of heavy traffic, but during the early 1960’s that changed as Vermont became the destination for fall foliage, hunting, skiing and snowmobiling. 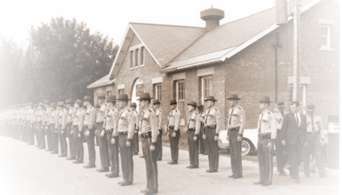 The Departmental strength was 118 State Police and 60 civilians at the beginning of 1960. The state’s population was 389,881. There were only 41.4 miles of Interstate highway compared with 320 miles in 1998. Between 1960 and 1970 licensed drivers increased by 35%, the number of registered vehicles increased by 51%, and the interstate system was completed with 320 miles of divided highway. E.A. Alexander became the third Commissioner of the Department of Public Safety in 1965 with the rank of Colonel. Colonel Alexander was (at the time) the only appointed Commissioner who had been a Trooper promoted to Commissioner, having begun his career with the Motor Vehicle Highway Patrol in 1929. The 1960’s was the beginning of the drug culture. The Department handled an increased number of complaints involving illegal drugs. By the late 1960’s the alleged drug problem had become a significant Vermont problem. The Department and the Legislature recognized the growing drug problem and the Legislature approved a Drug Abuse Control Program. The goal of the program was education, inspection and enforcement. The Department conducted 56 drug investigations in 1968. That number had grown to 374 by 1970. Also in 1970, the Department went on line with the FBI National Crime Information Center. NCIC messages increased from 430 in 1968 to 1,036 in 1970. Events of the 60’s led to the creation of a number of special teams and programs to meet the diverse needs of the population.A Marine Division was formed and became active in 1960. 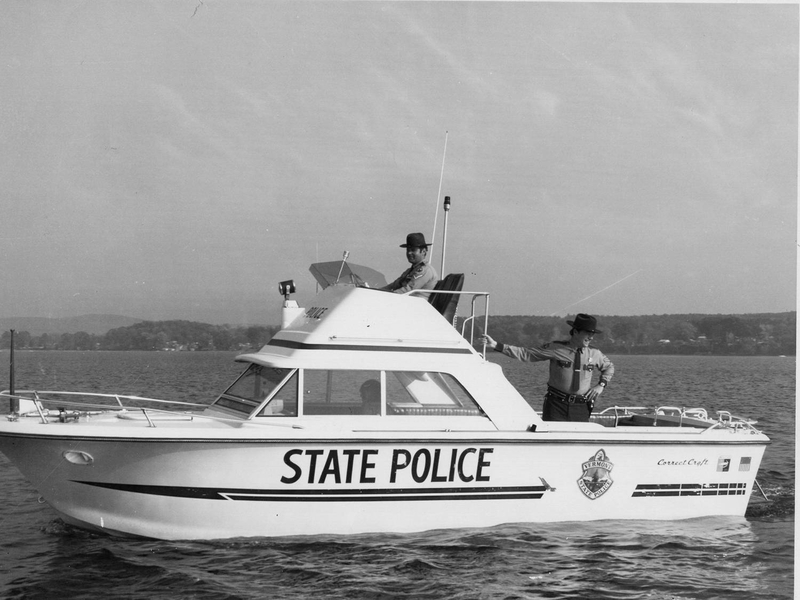 By 1966 it had five outboard motor patrol boats and a 35 foot cruiser to patrol the State’s waterways. A Search and Rescue Team was organized to look for lost persons and conduct rescues in our mountainous terrain.